We know that getting an award isn't the do-all-be-all-end-all of what makes an agency right for you. However, we are proud of the accolades we've acquired over the course of almost a quarter century. If you're looking for a skilled brand strategist, or a rock-solid logo designer, or a web developer with game, you may find that when professionals acknowledge the achievements of others, it's a sign you're pointing in the right direction. Back in 2000 we were a young, up-and-coming digital agency based in Northern California. We were focused on the employment industry (resume writers, career coaches, recruiters, etc.) and, as such, had the privilege of meeting Kathy Simmons, the CEO of Netshare.com – a web site catering to C-level executives. We were engaged to re-design their website and, later that year, were honoured with the selection by Forbes Magazine to have the site included in their "Best of the Web" edition. Ten years later, the site kept achieving the same award. We believe that this was the only website included in any of their categories in all ten years of the award. One of the more difficult engagements that can be taken on by a digital agency is that of Logo Design. The process can be explosive and be over with in a fully evolved brainstorm in just a matter of minutes ... or, it can be an agonizing, laborious, job that takes possibly, many dozens of hours! There's no simple way to predict how a project will go. Despite the challenges we've faced over the years, we have taken up the charge and have helped hundreds of companies with their new identities and brands – including the cornerstone element, their logo. When one of your logos is selected to be included in Logo Lounge (now in its 10 printing), an international collection of the best logos in the world, it's definitely a point of pride. If your messaging is lack-lustre, you'll struggle with all forms of marketing. If, however, you base your messaging on the power of Brand Archetypes, you'll find that not only does your marketing become easier, it drives forward with unexpected momentum. 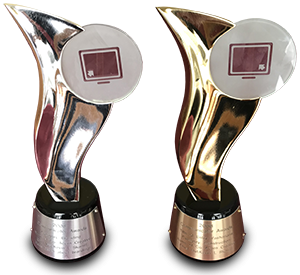 On two occasions, our small agency has been awarded for its achievements on an international stage. Doesn't your company deserve to have messaging this powerful? Shortly after the Internet bubble had burst, the Governor of the state of New Hampshire realized that there would be a benefit to the state's economy to lure tech companies to land their companies just north of the Boston metro area. Clean air, low crime, high quality education, no sales tax, and no state taxes made the state an attractive, company-friendly environment. Part of that initiative was to acknowledge those new digital companies headquartered in NH. 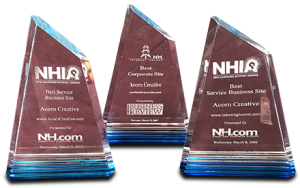 Our agency (named Acorn Creative at the time) gathered "Best of" awards in each of the three years the event was conducted. In 2015 I received a call from one of my most celebrated clients, Mari Smith. She said, "It's nice to see we made it to the same list." At the time, I had no idea what she was talking about. 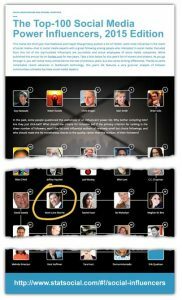 Needless to say, I was delighted to find that Stat Social had ranked me as the world's #79 "Top Social Media Influencer." 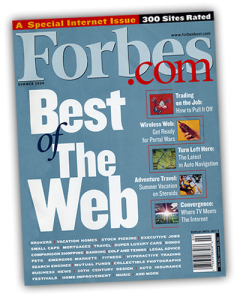 In prior years, the Stat Social list was used by Forbes Magazine in their ranking of the same name. Again, winning an award or receiving recognition isn't the goal. But, it's pretty tasty gravy on top of the social media meal we are all consuming. Are you ready to find out how an award-winning agency can help YOU? !